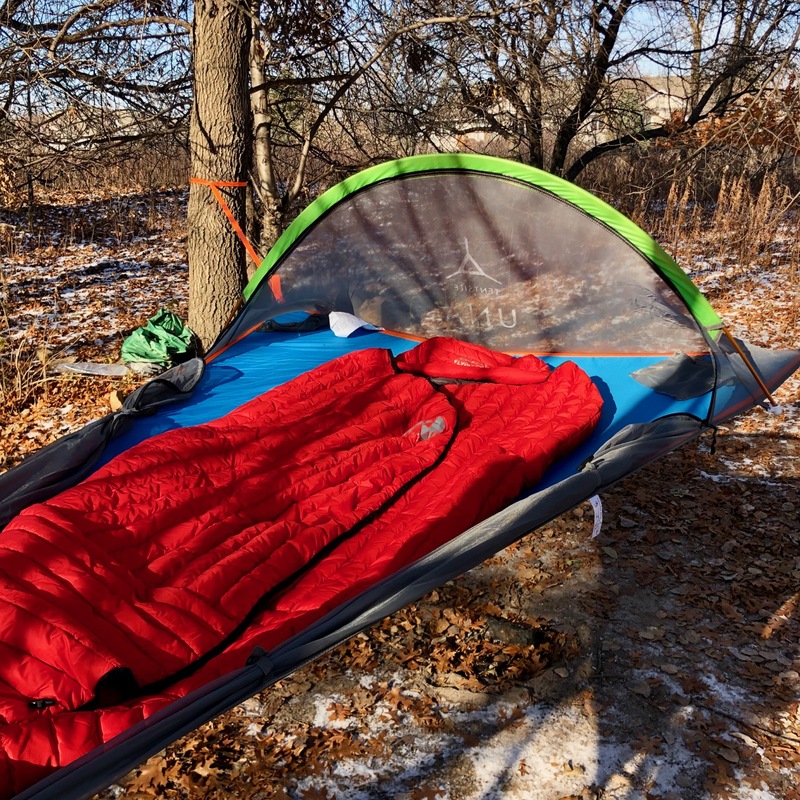 Lightweight, easy to set up, and COZY! Summary : The Tentsile UNA Tree Tent combines the best of the tent world and hammock world. The three point attachment creates a comfortable space inside that will feel like home immediately. 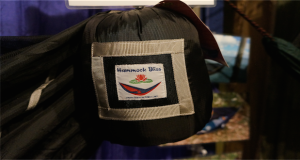 When it comes to sleeping in camp you have two options: tents and hammocks. 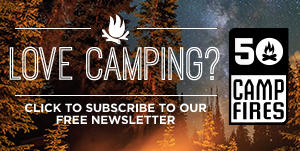 Wait – make that three options: tents, hammocks, and Tentsile. 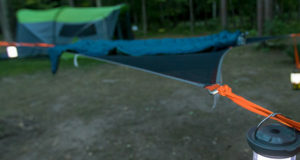 Tentsile makes hammocks that are in a league of their own because they connect to three trees. 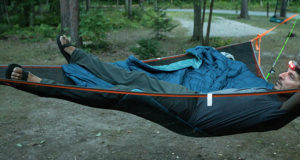 This gives you far more space than a traditional hammock, and makes it easier to sleep on your side. 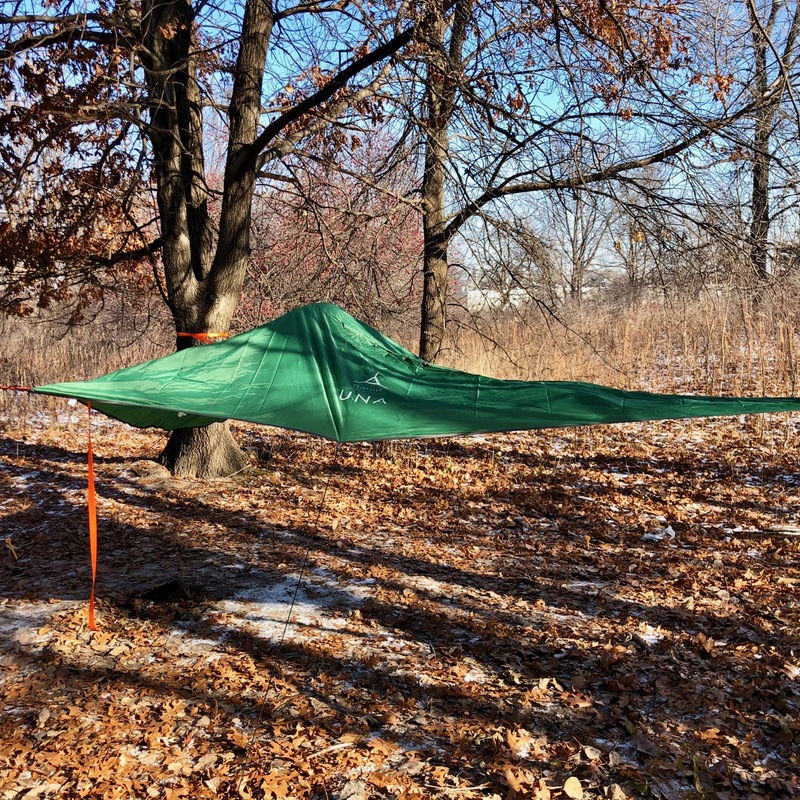 I recently tested the Tentsile UNA Tree Tent and loved it. Here’s why. 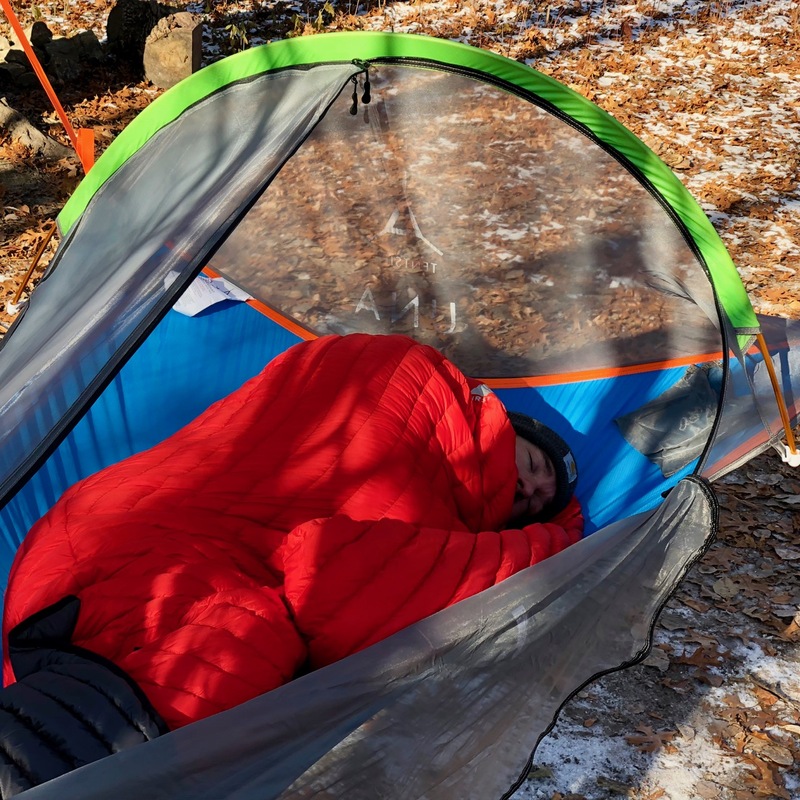 The Tentsile UNA Tree Tent is a six-pound ultralight camping hammock that you can set up in under 10 minutes. Most Tentsile tents use three ratchets, whereas the UNA only uses one. The other two points are tied off with a cow hitch, which was easy to learn and made setup a snap. Because it’s meant for your pack it’s a little smaller and is intended for people six feet and under. The max weight is 330 pounds. 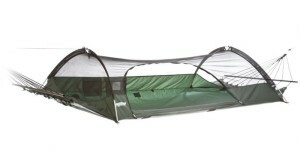 It only has one tent pole, which keeps the bug net off of your face and creates a pretty nifty hangout space. There are also two gear pockets inside to prevent your phone, keys, etc, from sliding around. 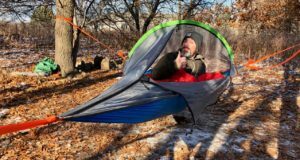 I found the Tentsile UNA Tree Tent to be very comfortable. I honestly didn’t want to get out of it. I wanted my Kindle and I wanted to stay put. You can get in from either side, and you can easily zip it completely open if it’s a nice day and not buggy. The rain fly provided plenty of coverage as well. 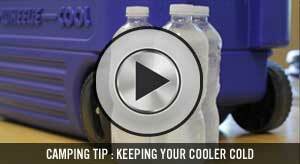 In fact, it’s meant to create a nice little dry space for your gear underneath. If rain was imminent I’d probably hang it lower than I did in the video to make sure that I had enough coverage for my gear. The Tentsile UNA Tree Tent is a great option for those looking to leave the tent behind, and it’s competitively priced as an all-in-one hammock camping package. 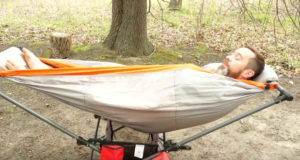 Nice enclosed hammocks (bug netting) with a rain fly run $200-$400. The UNA is priced at $200, and I think it’s a steal for what you’re getting. You should give it a try and get off the ground! 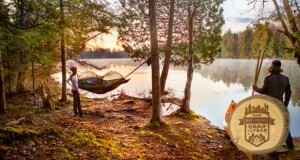 Tentsile UNA Tree Tent Giveaway!